This is where it all began … Lexi, Logan and Logan present the first RA.com check to HDVCH. Some many memories have followed. These pictures capture just a few. South, three current and former Helen DeVos Children’s Hospital patients, that became the inspiration behind RA.com, Lexi Adgate, Logan Breuker and Logan Muyskens, presented a check on behalf of RA.com, to the hospital for $35,000 marking the beginning of what has become an amazing journey. To date, RacingAwareness.com, a Michigan based nonprofit charity, has raised just shy of $200,000 in support of sick and injured kids of Helen DeVos Children’s Hospital. This week marks the 15th annual Think Outside Yourself Radiothon, presented by STAR 105.7 FM. The Radiothon will be hosted by morning show hosts Tommy and Brooke and afternoon host Kelly Iris. The two day Radiothon is held inside the lobby of HDVCH and the public is welcome to stop by, visit and make a donation. STAR 105.7 FM is known as the Christmas station in West Michigan this time of year. Lexi and Maranda 2010. From HDVCH patient and 8th grader in 2010, to Grand Valley State freshman in 2014. RacingAwareness.com will celebrate the end of year five by again partnering with the station as the day sponsor for this Friday, December 12th. RA.com volunteers and race team members along with HDVCH patients will be staffing the phones beginning at 6 am on Friday. Meijer is the day partner for Thursday. STAR 105.7’s Tommy & Brooke, RA’s Norm Jelsma and Jeff Striegle and the AMAZING Kierstynn! overcoming her illness under the care of the medical team from HDVCH. In 2013, the Radiothon raised more than $175,000 for HDVCH to help launch and maintain programs, support staff education, advance innovation and research, and purchase new state-of-the art technology. HDVCH is leading the way in pediatric medicine. Children from across the state and beyond are seeking care at our children’s hospital. In 2013, nearly 200,000 children received care as inpatients and outpatients at HDVCH. Speaking of 200,000, that is the financial goal for this year’s event! 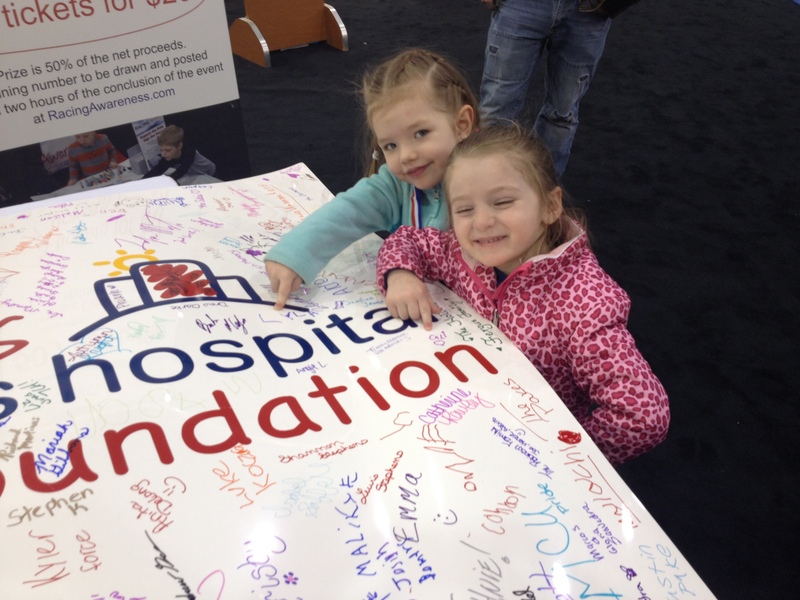 These gifts will help us continue to touch the lives of kids like Brooke and Briana. We need your help to reach this goal! Please pledge your support and Think Outside Yourself this holiday season. Yes, it is a busy time of year! Yes, you probably have shopping to do! Yes, you will probably spend too much money on Christmas gifts that will gone unused. There is however, one gift that would be guaranteed to be used and appreciated … donate today … you can do that in matter of minutes at www.racingawareness.com, select Donate Now. Each of the past five years has concluded with participation as day sponsor in the radiothon. To date, RacingAwareness.com has rasied just shy of $200,000 in support of the sick and injuried kids of Helen DeVos Children’s Hospital. Follow us all week here on facebook and on our website as we lead up to this very special day. A week from today is Thanksgiving. Some will stay home and have family over while others will travel and visit family. The common thread is family. Unfortunately not everyone will have a choice where they spend their Thanksgiving. For many, perhaps more than 100 families, their Thanksgiving will be spent with the amazing staff of people from Helen DeVos Children’s Hospital. Sick and injured children from all parts of the country and from your neighborhood, will not be enjoying turkey dinners and Lions football, but be holding hands and in some cases holding on to hope. It is for this reason that we volunteer to raise money in an effort to support these families in all ways possible. It is for this reason that we ask you to volunteer. It is for this reason that we ask for your support with us this weekend, before you turn your attention to your family and to your celebration. Emergency room calls, admissions and surgeries at HDVCH are 24/7, they will not stop for the weekend or a holiday. While we can’t be with the children and their families as the endure clinics and procedures, we can offer our time in their honor to raise funds and awareness. The time of a child’s first cancer surgery often times is 4 to 8 hours … we are asking for 5 ½ hours. Please consider volunteering. Please click here: http://vols.pt/wHeKXd to sign up for 2014 GR Wine, Beer & Wine Show on @VolunteerSpot today! Not able to volunteer but would like to support by making a financial donation? Select the Donate Now button to the right. 100% of all donations go to support Helen DeVos Children’s Hospital. As the season changes here in the Midwest, and both RA’s racing and charity efforts wind down, everyone at Racing Awareness would like to extend our sincere thanks to the fans and many supporters. A special tip of the hat to the golfers, partners and volunteers that participated last month in the 5th Annual RacingAwareness.com Charity Golf Outing Powered By Consumers Credit Union. The outing was a huge success! 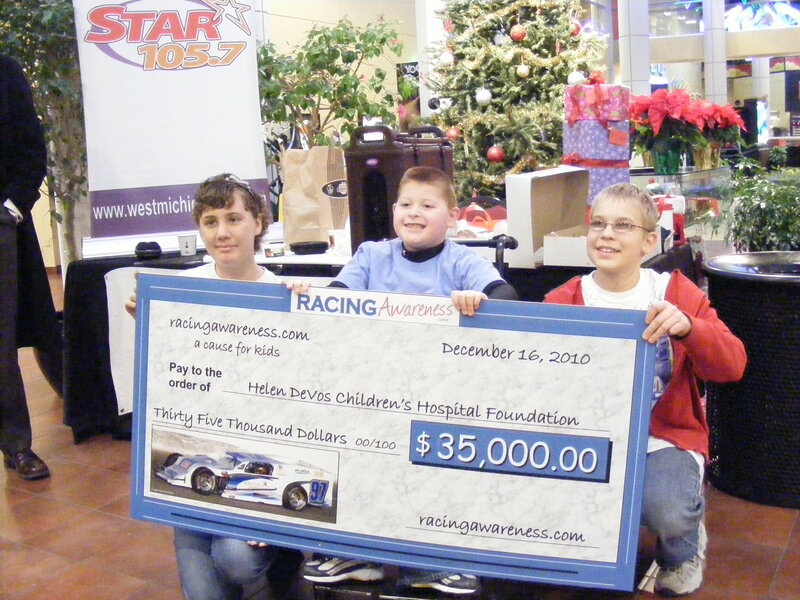 As the last event of 2014, RacingAwareness.com will, for the 5th year, partner with STAR 105.7 FM and Helen DeVos Children’s Hospital Foundation for the Think Outside Yourself Radiothon in December. Please continue to check in here, as well as on Facebook, for updates throughout the remainder of the year. Year round, RA’s efforts are focused on raising awareness and funds for the children and families served by Helen DeVos Children’s Hospital, so for now, we leave friends, old and new, with the Racing Awareness mission and capabilities. experiencing or have experienced a healthcare situation, a diversion from the healthcare process utilizing the sport of auto racing. 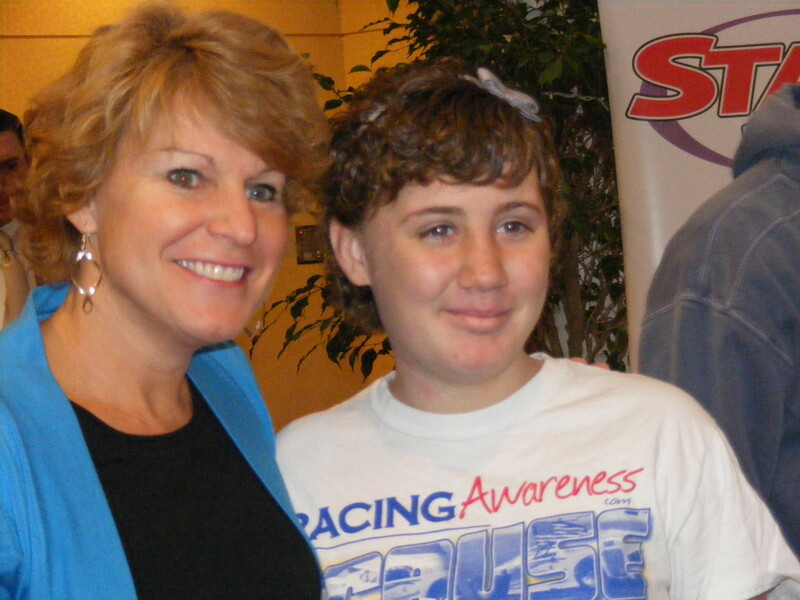 Through visits to the race track, autograph cards, driver meet and greets, photographs and personal visits, Racing Awareness strives to provide joy and hope to these children and their families. From the very start, both Racing Awareness Inc. and RacingAwareness.com have aspired to raise funds and awareness and share education about Helen DeVos Childrenʼs Hospital and the amazing resources that it offers to our community. This is achieved through various initiatives including but not limited to the RacingAwareness.com annual charity golf outing, bowling events, RacingAwareness.com merchandise sales, public and private donations. Established in March of 2010, RacingAwareness.com is a 501 c3 nonprofit charity based in Grand Rapids Michigan. 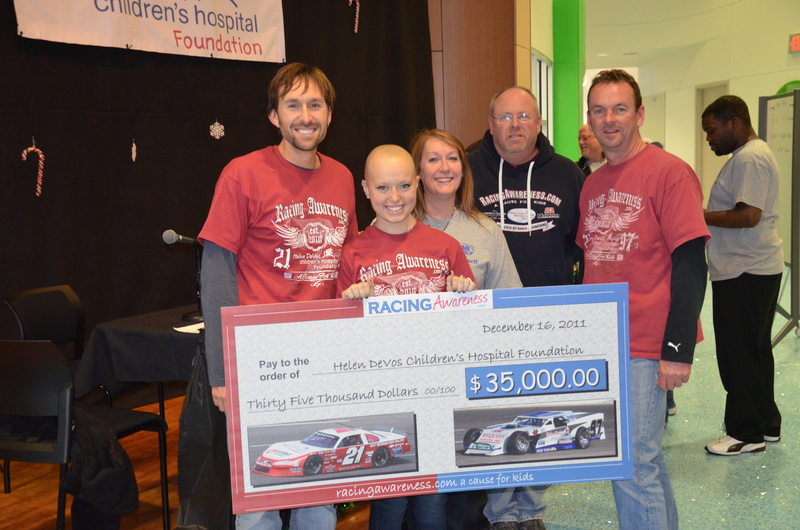 RacingAwareness.comʼs efforts are focused on raising awareness and funds to launch and sustain programs and services provided by Helen DeVos Childrenʼs Hospital Foundation. 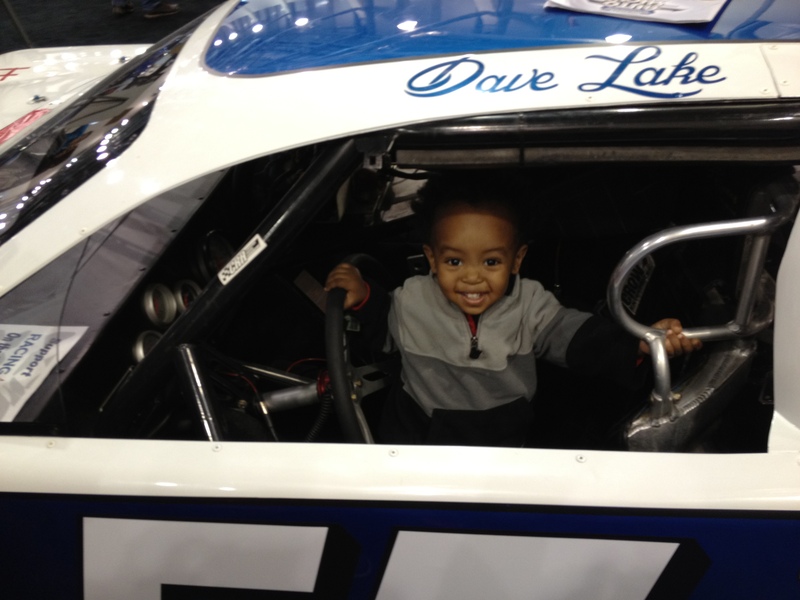 The next generation of race car drivers! Through collaborative partnerships, RacingAwareness.com has had the honor of providing racing experiences to over 3,000 people associated with HDVCH patient families. 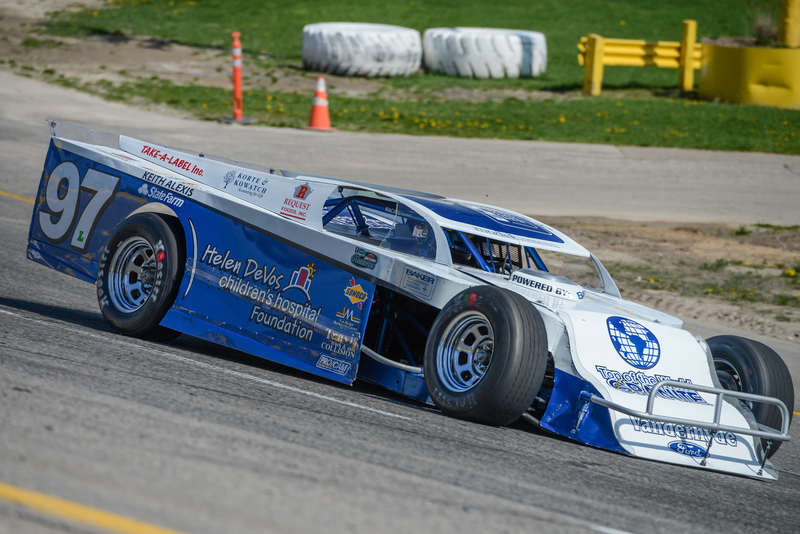 In addition, RacingAwareness.com has been able to reach a distinctive audience to raise awareness for HDVCH as well as raise and donate 100% of its proceeds to HDVCH since its inception. Who is Racing Awareness Inc.? 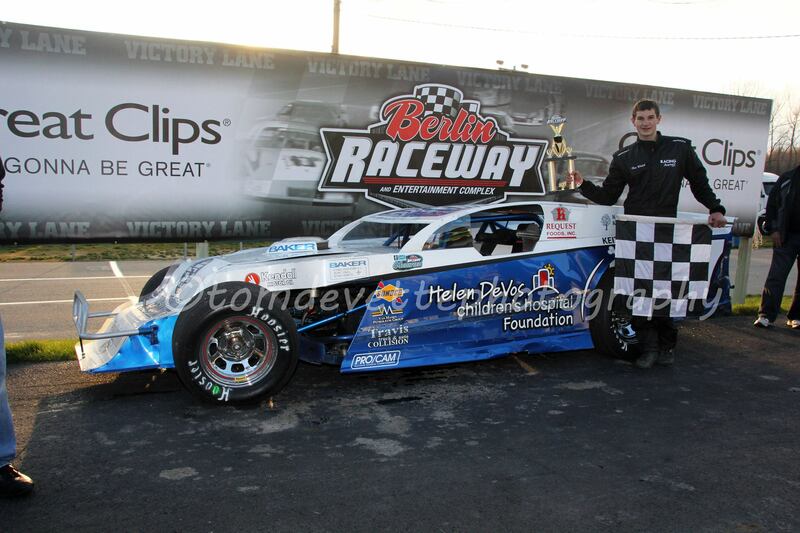 RacingAwareness.com donates all proceeds raised to Helen DeVos Childrenʼs Hospital Foundation. RacingAwareness.com is a 100% volunteer based nonprofit charity with minimal overhead. RacingAwareness.com would not be able to do what it does or be able to accomplish what it has without its many dedicated volunteers, many of whom are providing community service for the very first time. Racing Awareness would love to hear from you! Racing Awareness offers many ways to stay in touch and be involved. Follow Racing Awareness on the web at www.RacingAwareness.com and on Facebook, search RacingAwareness.com supporting Helen DeVos Childrenʼs Hospital. There you will find up to date information regarding the Racing Awareness race team as well as all of the RacingAwareness.com activities and volunteer opportunities. 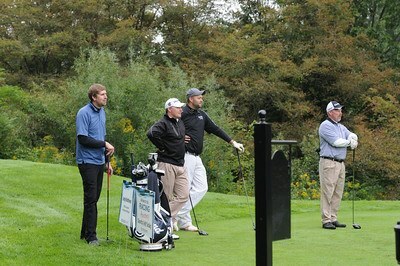 The 5th Annual RacingAwareness.com Charity Golf Outing, Powered by Consumers Credit Union teed off on time this past Monday, even the cool temperatures and rainy conditions could not dampen the sprits of those in attendance. The shot gun start saw 112 golfers take to the challenging Thousand Oaks golf course. 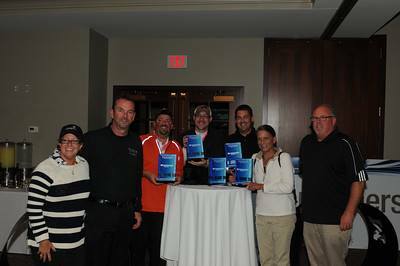 Vanderhyde Ford provided golfers with four, par three, opportunities for great prizes, including a 2014 Ford Fusion. Unfortunately we had close … but no cigar … the Fusion is back on the lot in Cedar Springs. Enjoying a day on the course for a great cause. Other on course activities included the Consumers Credit Union par 3 challenge and the Roosien & Associates putting challenge. This year also, golfers enjoyed two “5th player” shots from two of West Michigan’s best golfers, Andy Matthews, a former PGA Canadian Tour Pro, and Tom Werkmeister, 2014 Michigan Golf Hall Fame inductee. walked away with items such as: a Dale Earhardt Sr. framed painting and Dale Earnhardt Jr. print donated by Sam Bass, a beautiful blue Essex Customz painted helmet autographed by all 43 drivers that participated in the June NASCAR Sprint Cup race at MIS. As the event came to a close and all the receipts were totaled, it became very clear that this outing would become the largest single day fundraiser ever for RacingAwareness.com. This day also marked the celebration of our 5th year as a nonprofit charity supporting the sick and injured kids of Helen DeVos Children’s Hospital. It was truly a great way to wrap up our 5th season. A financial recap and the donation amount for 2014 will be forthcoming. On behalf of everyone associated with RacingAwareness.com, thank you!! The Sixth Annual RacingAwareness.com Charity Golf Outing Powered by Consumers Credit Union is scheduled for September 14th, 2015 at Thousand Oaks Golf Club. Make your reservations today to hold your foursome. This golf outing has been a complete sellout for each of the past five years. Find out why and experience it for yourself. I just wanted to thank all of you once again for your passion, for caring, and for your enormous hearts that allow you to do what you do for Helen DeVos Children’s Hospital. Racing Awareness is an inspiration to us all, and we are so fortunate and grateful to have people like you in our corner. You are the perfect example of people who have taken what they love (racing) and turned it into such a force for good in our community. Last night I sat at dinner, mouth agape and in constant awe, at the tremendous amount of support you generate from your friends, family and contacts. I am still reeling at the success of your event and congratulate you on a job well done. The word “family” was mentioned a lot last night. And we at the foundation are so proud to have RA as a full-fledged part of the HDVCH family. And I am not talking some distant cousin either – we are brothers and sisters in this effort to provide resources to HDVCH and all the amazing things they are doing for kids in Michigan, the United States, and the world. So from the bottom of my heart, thank you. Thank you so much. 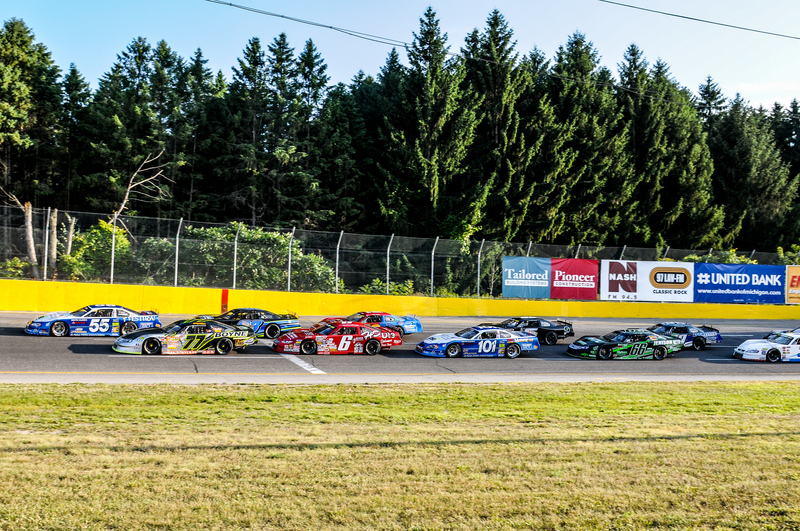 one show, running under cloudless skies and near perfect temperatures, included the Budweiser Outlaw Late Models, Boyne Machine Super Lates and the Top Speed Modifieds. The RA team, with all three cars in action, qualified well, putting themselves solidly in the starting field. Ben Welch, driver of the RA 97L modified, qualified third. In the very competitive Super Late division, Joe Bush qualified the 101L second, while teammate Dave Lake ended up 8th quick in the 55L. The first feature of the night was the 40 lap main event for the Modifieds. Welch, the 16 year old, Coopersville High School Junior, started on the outside of row two and found himself battling for the lead early with pole sitter and Top Speed point leader Chad Poole. The battle didn’t last long as Berlin Point Leader, Billy Shotko, blasted by both cars and drove away from the field to claim the feature win. Dan Loughan, fresh off his Berlin feature win just 12 days ago, raced to second, with Welch coming home third. The Modifieds are back in action this Saturday night. Up next, the 75 lap main event for the Super Lates. Dave Lake lead the field of 22 to the green flag and then the next 15 laps, looking strong and very much in control early before trouble struck. A competitor running at the tail end of the field had been dropping fluid on the track over a three lap stretch, and Dave found it, spun the car in turn three and backed the 55L into the fence, ending his chance for a win. The crew worked on the car under the lengthy red flag for clean up getting Dave back out before a tire rub, late in the race, ended the team’s night. For Bush, the first half of the race was uneventful. Joe picked his way through traffic all the way to third. Joe narrowly escaped trouble when race leader, Tim DeVos, and the second place driver, Ross Meeuwsen, tangled down the back stretch. The accident handed the lead over to Bush with 26 laps remaining. When the green came back out, Joe was gone and began to put distance between himself and second. As the laps began to wind down, it looked like smooth sailing, right up until the handling began to go away on the 101L. The closing laps saw Joe fade to a solid fourth place finish behind Alec Carl, Chris Anthony and Chris Koslek. Lauren Bush, Joe’s daughter, had a tremendous run starting deep in the field and racing all the way to fifth, pounding on her dad’s bumper for fourth as the checkers waived. The Super Lates are back in action this Saturday night also. No one could slow down Terry Senneker Jr. in the Budweiser Outlaw Late Model 125 lap feature. Terry dismantled the field, even with a torn up race car after being involved in an early race incident. Senneker claimed $10,000 and another trophy for his dominating performance. RacingAwareness.com has announced a partnership with Consumers Credit Union as the title sponsor of the RacingAwareness.com Charity Golf outing September 15, 2014. The partnership also includes support throughout the year with volunteers and education awareness. The 5th Annual RacingAwareness.com Charity Golf Outing, powered by Consumers Credit Union is scheduled for Monday, September 15th at Thousand Oaks Golf Club. This year’s event is expected to again be a sell out. Golfers will experience 18 holes of golf with a cart at one of Michigan’s premier semi private golf clubs, as well as access to the driving range and putting green, lunch and dinner, door prizes and the very popular RA.com auction that follows golf. In addition, RacingAwareness.com and Consumers Credit Union are working on new and unique promotional and fundraising ideas. “We have one primary goal, and that is to raise money for the families that endure a healthcare situation with a sick or injured child and the services they receive through Helen DeVos Children’s Hospital. Together we are working on some pretty amazing ways to do just that”, Striegle added. Consumers Credit Union is headquartered in Kalamazoo, Michigan. With over 59,000 members and more than $550 million in assets, Consumers serves individuals and businesses through 16 offices and more than 200 ATM locations in Kalamazoo, Portage, Mattawan, Lawton, Coldwater, South Haven, Holland, and Grand Rapids. For details, visit http://www.consumerscu.org. tour boasts a 22 race schedule in Michigan, Indiana and Ohio. 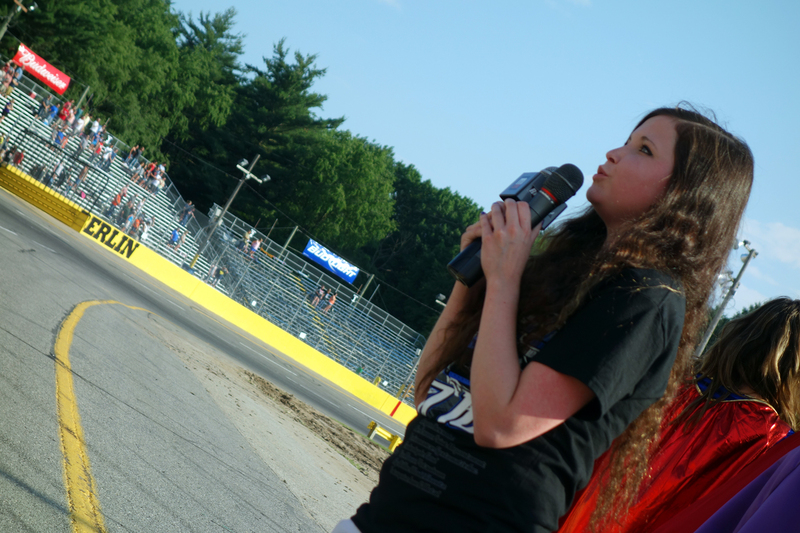 The series is also scheduled to run the Berlin Raceway on July 30th. 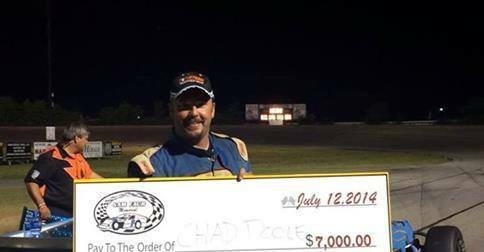 Familiar names are expected to join the Berlin Modified drivers for a scheduled 40 lap main event. Point leader Chad Poole, from Springfield Oh, fresh off his win last weekend at Auto City, is expected to be in the field and a true contender for the win. The remaining top five in points are also expected to be on hand including former winner at Berlin and fan favorite Travis Eddy, Jordan Pruitt, Mark Bott and Dan Loughan. everybody likes coming to Berlin”. 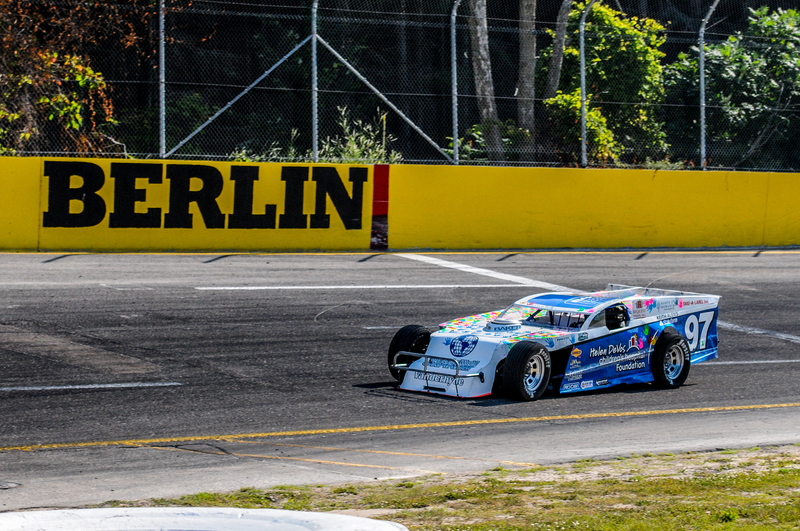 Dave also said that he expects the Top Speed ICAR Modified Tour drivers to holdtheir own against the Berlin regulars, “I see our Top Speed guys giving the Berlin drivers a run for their money this Friday night”. The tour drivers will have no easy task going head-to-head with the Berlin regulars. 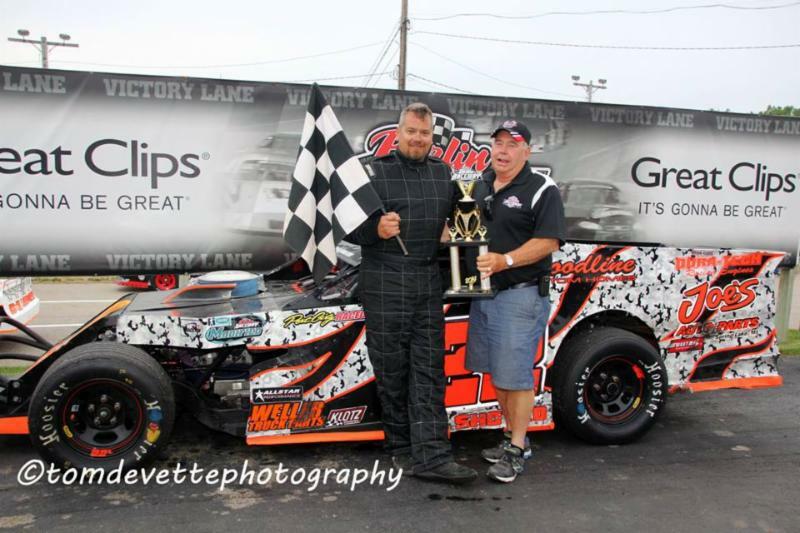 Series champion, and three-time winner in 2014, Billy Shotko, comes into Friday night’s race as the driver to beat. Sixteen year old Ben Welch, veteran drivers Billy Eppink and Ryan Hamm will also be ready to face the challenge from the out-of-towners. talent and a lot of experience. This will be the toughest race of the year for all of us”. The Coopersville High School junior took over the seat of the RA modified in 2014 and has been strong sincethe season began. Ben’s victory came on the first night of racing and his first time in the seat. Since that point, Welch has finished runner-up on three different occasions and sits second in points behind Shotko. Saturday nights seem to come and go in a blur this time of year. This past Saturday was no exception. 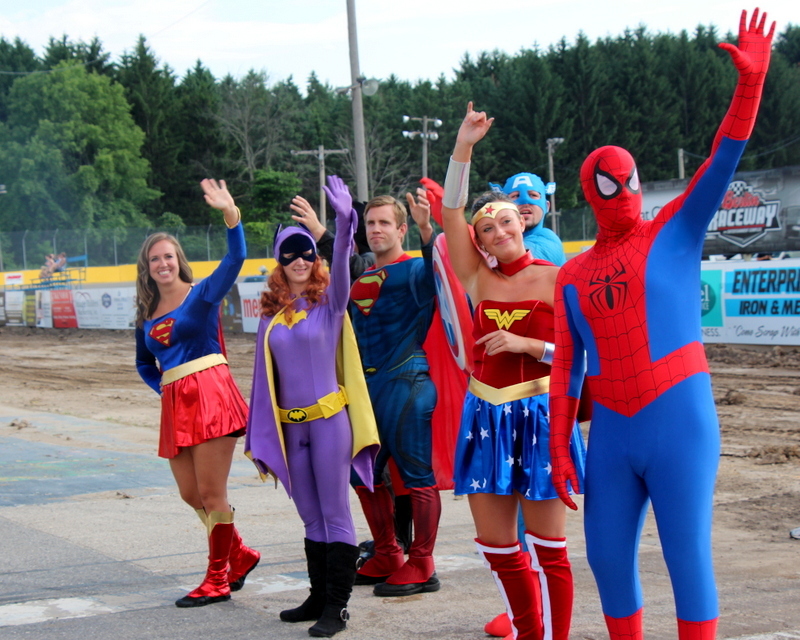 Helen DeVos Children’s Hospital Night at the Berlin Raceway was, in a word, SUPER! Even the rain drops and the cancellation of the autograph session could not dampen the evening. This was a night that belonged to the kids with activities on and off the track. The talented and beautiful Cassidy Grooms (an HDVCH patient) performed the National Anthem, others took trips around the race track in the pace car, waived the green flag, hollered out the command and just enjoyed time with their families. More than 400 patients, families and staff were in attendance, we hope you enjoyed your visit and that we will see each of you again soon. Hudsonville Senior and HDVCH patient, Cassidy Grooms, delivers flawless Nation Anthem performance. There is so much that goes on behind the scenes, from coordination efforts, volunteers, ticket distribution, working with the hospital and families and so much more. Nothing would be possible without our great group of volunteers and our race teams that pour so much into so much more than just racing. To all of you, thank you! A special Thank You to the entire staff of the Berlin Raceway; five years of partnership that gets better with each year! The sales of Super Hands topped 600 by the end of Saturday night. Perhaps the most amazing moment was watching so many of the fans running down after the races were over to find their hand on the 97L Modified. Thank you to everyone the purchased a Super Hand. If only we could slow things down or go back, to relive … this would be a day at the top of the list. With that, RA returns to racing for the rest of the summer and RacingAwareness.com turns its charity focus to the 5th Annual RacingAwareness.com Charity Golf Outing. The outing this year is Monday September 15 and registration is open for foresomes. as well as sponsorship opportunities. Leave a message here or email at racingawareness97@gmail.com with outing inquiries.